How do the height and width of the diagonals relate to the area? 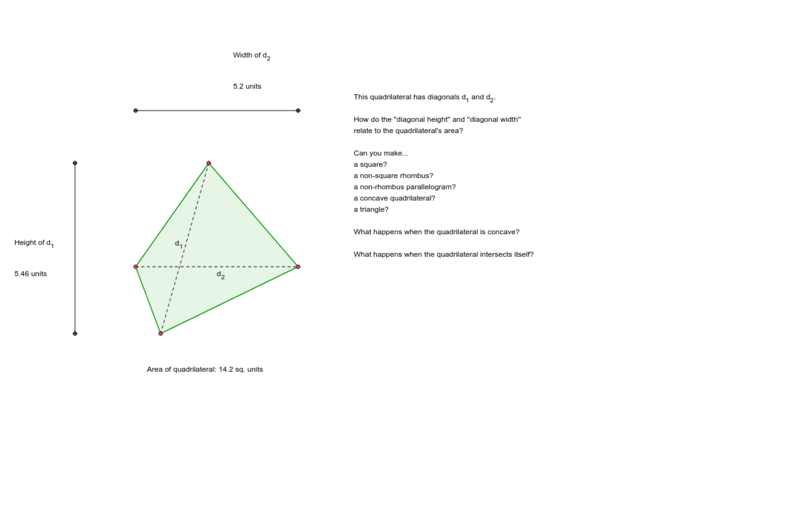 How do the ''diagonal height'' and ''diagonal width'' relate to the quadrilateral's area? Can you make... a square? a non-square rhombus? a non-rhombus parallelogram? a concave quadrilateral? a triangle? What happens when the quadrilateral is concave? What happens when the quadrilateral intersects itself?